I just finished reading Getting Started With Beaglebone by Matt Richardson. I’m working on a coffee-related project where I need something more powerful than just the Arduino. The BeagleBone with its HDMI-output and whatnot, is perfect! But I had only used it a little bit several years ago. So I needed a brush-up. I didn’t want a “here is EVERY technical detail of the BeagleBone” type-of-book. I know that I learn much faster if I start with an overview, then dig into details later on as I need them. That’s why Getting Started With Beaglebone caught my eye. 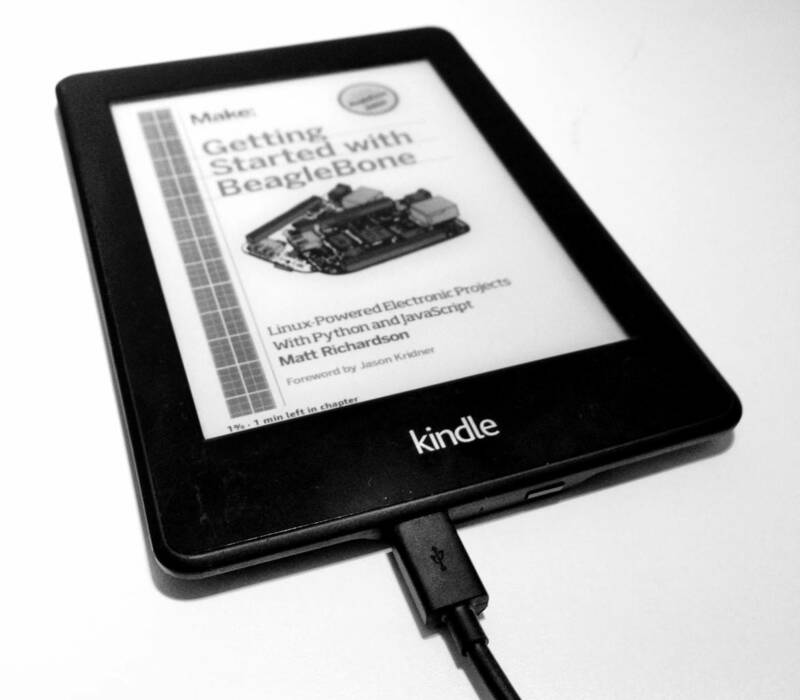 In the first couple of chapters, the book explains what the BeagleBone is all about. It gives you an overview of the BeagleBone hardware specifications and the operating system that the board comes with. You’ll get step-by-step instructions on how to connect your board, install drivers and different methods of connecting the board. I already had some knowledge of the very basics from writing my BeagleBone Black getting started guide, which meant I could flip through these chapters pretty fast. The next chapter on Linux was also a quick read, but with some very interesting facts on the filesystem. Specially how the filesystem handles the control of the hardware pins. After the first getting started chapters, the author goes on to explain how to connect an LED, and how to connect a button to the BeagleBone. He backs it up with several examples and shows how to use Python to control everything. I have a programmer’s mind, and I love to read code. And here, there’s lots of code to read and try out in the real world. …which are all really good things to be aware of when working with the BeagleBone. 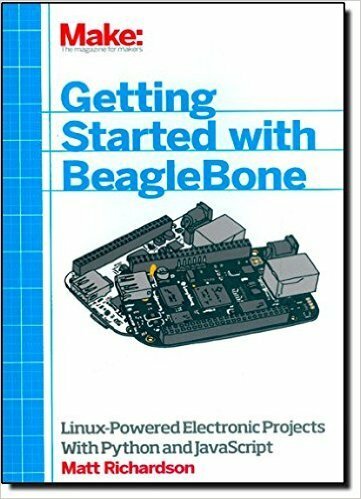 This is a great book for getting started with BeagleBone quickly. It does not dive deep into the details, but shows you in a simple way how to get started with what most people need in the beginning. Here is how you turn on an LED with Python. Here is how you control that LED via Internet. This is not a book for learning how to program. There are plenty of other books for that. This is not a book for learning electronics. There are other books for that too. So I really like that the author did not fill the book with that kind of stuff. He kept it focused on getting started with BeagleBone. Which is why I really like it. It gives you what the book title promises. I definitely recommend the book if you want to get started with the BeagleBone. You’ll get a great basic understanding of the board, and you get to create some really cool projects.